If Nike gave out shoe deals for authors, James Patterson would be the first to have a line of $120 premium sneakers. Literary tastes aside, there’s no denying that he’s running the popular fiction game right now, with scores of best-selling titles coming out every month. How does he do it? I think it’s time to ask a daunting question, one that might have revelatory, world-changing consequences — is James Patterson actually a human being? As it turns out, Patterson has actually developed an extensive network of co-authors that help him churn out a steady stream of Alex Cross et. al. novels. In some ways, he is more than a mere writer now; he is a meta-author, the pulsating central brain of a mystery/thriller-themed hivemind. 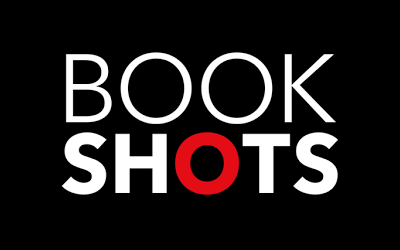 Essentially, Bookshots are full-length stories that play out in 150 pages or fewer. Other taglines for the books include “Stories at the speed of life” and “All thriller, no filler.” I know what you’re probably wondering: Is this actually a new thing? This is just a highly-branded novella, right? So I read one to find out. The first wave of Bookshots rolled out a handful of titles, like "Zoo 2," a sequel to Patterson’s novel about animals attacking humans en masse because we use cellphones too much. Though I skipped the first installment, I was hoping to grab a copy of "Zoo 2," since that sounds incredible. It was checked out, sadly, so I was forced to venture outside my reading comfort zone and instead got a copy of "The McCullagh Inn in Maine," a title from the Bookshots romance subcategory, Bookshots: Flames. "The McCullagh Inn in Maine" is primarily written by Jen McLaughlin with input from Patterson. The cover makes it appear as a cozy, gentle read with its looping pink script and picturesque Maine beach scene. I cracked it open at 9 in the evening, expecting a heartwarming — yet fast paced — love story. I quickly grew more interested when it became clear that drug cartels and betrayal were the central conflict of the story; with a Bookshot, all bets are off. Two hours and 137 pages later, I finished the tale of Chelsea O’Kane, a woman on the run who wants to escape her checkered past and renovate her family bed and breakfast, and Jeremy Holland, the hunky accountant who shows up in her time of need. When Patterson claimed that Bookshots were “All filler, no thriller,” he wasn’t kidding. Every scene of The McCullagh Inn in Maine involves either sensual, this-is-so-wrong-but-so-right nuzzling or hails of cartel gunfire. Just enough backstory is sprinkled in to keep the gears turning and the tension high, like a thin mortar stretched between bricks of high-octane action. The editing must have been ruthless. The narration is frenetic and hyper efficient — I could tell that McLaughlin had many more details imagined for the this world, but only the most vital and electric made it to print. The Bookshots editors clearly know how to turn a story, though; "The McCullagh Inn in Maine" is pretty interesting, easy to follow, and has a satisfying ending that wraps it all up. However, I didn’t feel like I had just read a novella. Compared to something like John Steinbeck’s well-known "Of Mice and Men," "The McCullagh Inn in Maine" seems shorter (even though it has a longer page count), but it also leaves the story seeming more complete. Frankly, the Bookshot read more like a short story than a novella. But that’s still not the closest analog in form. Patterson mentions in his Bookshots philosophy that the plots have “cinematic action,” so it makes perfect sense that reading a Bookshot is like watching a two hour Michael Bay film, a la "Bad Boys 2" or "Transformers." It’s also a lot like taking an actual shot. There’s a rush of excitement and burning, and then suddenly the night is over and you’re left with nothing. In all seriousness though, Bookshots are an intriguing new form of literature. Patterson has a valid point—a lot of people would like to read, but simply don’t have time to bust through 375 pages in a reasonable time frame. His writers and editing team have done something impressive; whereas novellas seem to be expounded short stories, Bookshots are highly-concentrated novels. Maybe other writers will jump in with their own lines — I’d love to see Diana Gabaldon: Wikipedia Synopses and Nicholas Sparks Presents: SparksNotes. I’m confident that the world will always have a healthy supply of wordy, meandering doorstoppers to balance quick reads. However, there is a new category of Bookshots that has troubling implications. On bookshots.com, one title is listed: "Trump Vs. Clinton: In Their Own Words, Everything You Need to Know to Vote Your Conscious." No, the category isn’t Bookshots: Flames. It’s nonfiction, but all thriller, no filler. Just think about the rabbits, Lennie. — Eli Hoelscher is a Reader’s Services Assistant at Lawrence Public Library.